Lafayette Oaks is off to a very good start for home sales in 2016. This popular East to Northeast side neighborhood offers some very good values, propelling home sales through mid May. As Tallahassee's first gated community, Lafayette Oaks offers location, large home sites and larger homes. If you are in the market for a home priced between $250,000 and $400,000, I recommend a drive down either Miccosukee Road (it's northern boundary) or Mahan Drive (it's southern boundary) and go have a look at some of the remaining homes for sale in Lafayette Oaks. In this article, we will look at home prices, home values, and home sizes in Lafayette Oaks, as well as show current listings in the Tallahassee MLS and all closed home sales going back to 1991. It is important to note that the narrative contained below is for sales through December for all previous years, but through mid May in 2016. The graphs and the closed sales table will be continuously updated into the future (meaning bookmark this page if you always want to know the current status of homes in the Lafayette Oaks). Lafayette Oaks home prices have not changed much thus far in 2016. Current prices are twenty eight percent below prices at the peak of the housing market recorded in 2008. 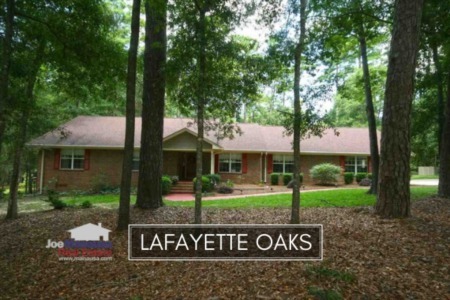 The average recorded sales price was $259,100 for Lafayette Oaks thus far in 2016. Home sales activity appears to have recovered after having a slow year in 2015. 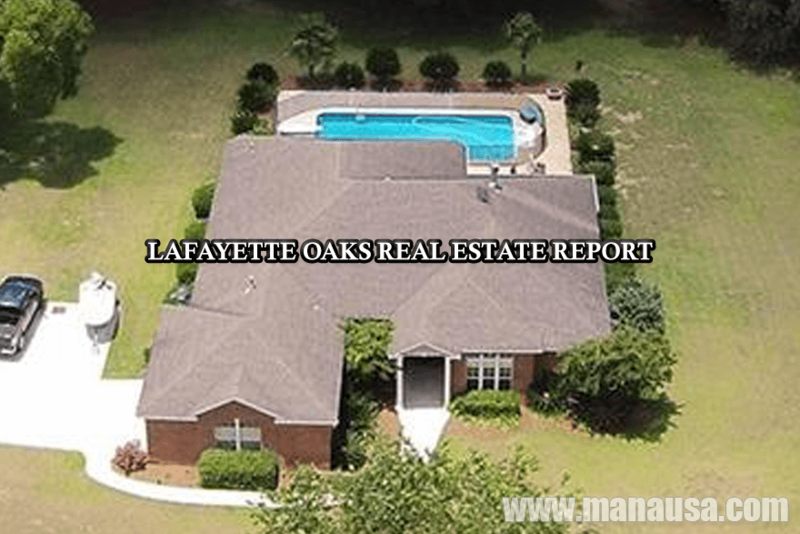 Currently, there have been 7 closed home sales in Lafayette Oaks. There are four homes on the market right now with one being under contract and scheduled to close in June. 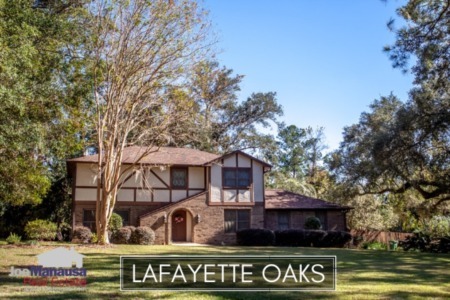 Average home values in Lafayette Oaks are up nearly 8% when compared to 2015. I suspect this is less a sign of huge appreciation and more a sign that smaller homes have sold so far this year, and smaller homes (generally speaking) sell at a high price per foot than larger comparable homes. If you don't know why, you can always ASK ME. Through the writing of this report, the average value of a home sold in Lafayette Oaks in 2016 has been $110 per square foot. This was down about 15% from the market high set back in 2006 and up 26% from the bottom of the market. The average home size sold in Lafayette Oaks typically falls in a range of 2,300 to 2,700 square feet, and buyers this year have been selecting homes nearer the bottom of this range. The 7 home sales in 2016 have averaged 2,360 square feet, which is completely opposite of the larger sizes that sold last year. I hope you enjoyed our May 2016 update on home sales in Lafayette Oaks, please feel free to drop me a note if you have questions not covered in this report.